We're gradually working our way into an all-LTE world, but there are still a few hurdles to cross. One of those hurdles, the seamless handover from LTE to 3G during a VoLTE (voice-over-LTE) call, has now been achieved by Qualcomm. So, what does that mean, exactly? Basically, if you're on a VoLTE call in an LTE network and you leave the coverage zone, the call would normally go dead. Thanks to this new chip from Qualcomm, though, that all changes. The new Snapdragon seamlessly transitions between LTE and WCDMA mid-voice call without issue, so users don't lose the call just because they exit the LTE coverage zone. When can you expect this to hit the consumer market? There's no word on that yet, but Qualcomm should be showing off the goods next month at Mobile World Congress in Barcelona. We'll be there giving you the play-by-play, so expect more info on this fascinating tech in the coming weeks. 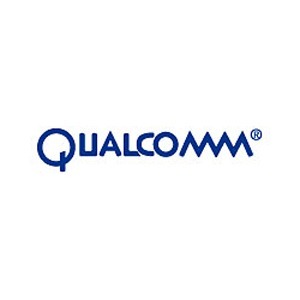 SAN DIEGO — February 2, 2012— Qualcomm Incorporated (NASDAQ: QCOM) today announced that the Company, working with Ericsson, has successfully completed the first voice call handover from an LTE mobile network to a WCDMA network using Single Radio Voice Call Continuity (SRVCC). An important technology required for voice-over-LTE (VoLTE) support, SRVCC is a 3GPP specified feature that enables continuity of service by seamlessly switching to a WCDMA network when a consumer on a VoLTE call leaves the LTE network’s coverage area. This milestone occurred on December 23, 2011 with an Ericsson network using a handset which incorporated Qualcomm’s Snapdragon™ S4 MSM8960 3G/LTE multimode processor. A demonstration will be available at Qualcomm’s booth at Mobile World Congress in Barcelona, Spain February 27 – March 1, 2012.